Home Off Beat	Geeky arrow tattoo: Which direction would you go? Geeky arrow tattoo: Which direction would you go? Tattoos, as a form of self-expression, are now taking the form of popular software, operating system and gaming logos. You guessed it right; Iâm talking about the increasing number of the geeky tattoos that are showing up. The wit and vagueness is what makes these tattoos special and popular among the geeks, the tattoo pictured here being the perfect exemplar! 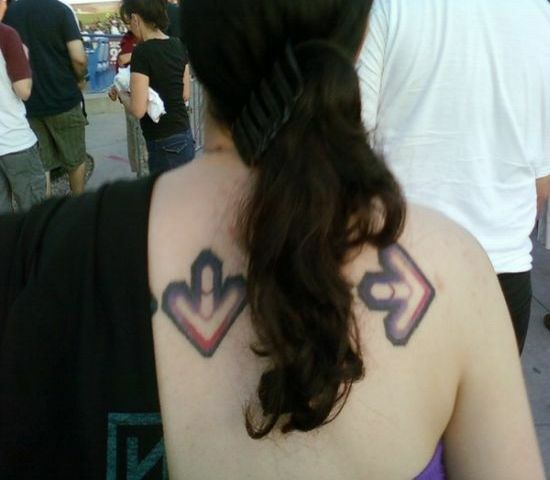 Itâs a cool geeky arrow tattoo that is sure to baffle people walking behind this gal. I would love to know why this gal got these arrows with different directions etched on her back. Utterly baffling, isnât it?